If you liked this show, you should follow Authentic You Radio. 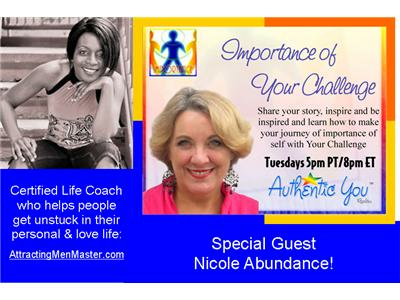 This week on Importance of Your Challenge is special guest, Nicole Abundance! Is a relationship with a man or woman just being to difficult? Are you feeling like you just can’t attach to or attract the right person to you.